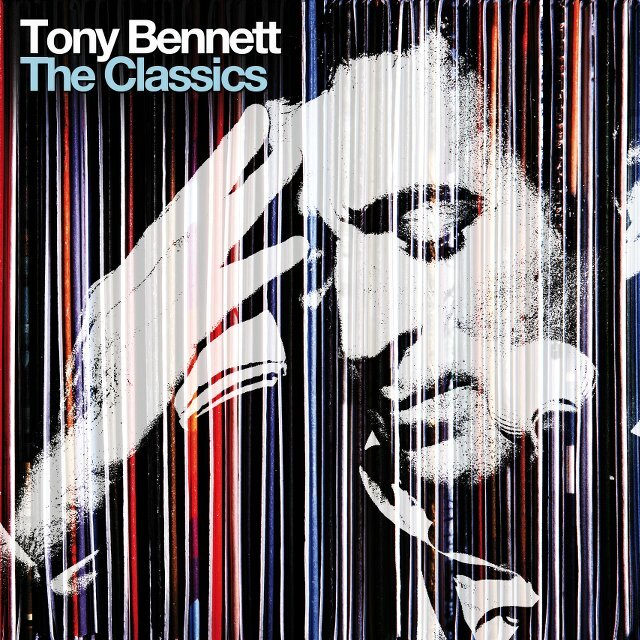 newly compiled collection of twenty Tony Bennett recordings, each personally selected by the artist, providing a definitive take on "a song that sounds like it was written yesterday even though it may have been written 500 years ago. UK release date: 24th March 2014. A Quintessential Career-Spanning Collection of songs handpicked by Tony Bennett himself. The career-spanning collection spotlights some of the finest performances from the artist’s phenomenally successful 21st century Duets albums. The first, Duets: An American Classic, celebrated Tony’s 80th birthday year (2006). Its successor, Duets II, released five years later (2011), debuted at No. 5 on the UK Album Charts and at No. 1 on the Billboard 200, giving Tony his first-ever No.1 album in America while making him the oldest living artist ever to enter the chart at No.1. The Classics includes tracks Tony’s sung “with artists who I admire and have loved working with over the years,” among them Frank Sinatra, Ray Charles, Amy Winehouse, Barbra Streisand, Diana Krall, Stevie Wonder, John Mayer, Michael Bublé, Lady Gaga and Christina Aguilera. Tony Bennett grew up in Astoria, Queens during the Great Depression as the child of Italian immigrants. After serving as an infantryman in World War II, he studied singing and then signed with Columbia Records, who released his first hits in 1951. Over the course of a 60+ year career he has sold millions of albums, is a 17-time Grammy winner and multiple Emmy award winner. One of the only artists to have new albums chart in the ’50s, ’60s, ’70s, ’80s and ’90s—and, now, in the first two decades of the 21st century—Tony Bennett has introduced a vast array of songs into the great American songbook which have since become standards of pop music. Tony Bennett’s catalog of work exemplifies the truth and beauty to be found in the classic art of intimate singing. On the release of the Tony Bennett: The Complete Collection boxed set, the New York Times wrote, “we aren’t likely to see a recording career like this again.” Tony Bennett is a Kennedy Center Honoree and an NEA Jazz Master. Tony has authored four books, his official biography, two books devoted to his artwork, and the New York Times Bestseller, Life Is A Gift. Tony is a dedicated painter whose interest in art began as a child. He continues to paint daily, even while touring. He has exhibited work around the world, and three of his original paintings are part of the permanent collection of the Smithsonian Institurion in Washington, DC. Throughout his career, Tony Bennett has always put his heart and time into humanitarian concerns. He’s raised millions for the Juvenile Diabetes Foundation. His original paintings each year grace the cover of the American Cancer Society’s holiday greeting card. He received Martin Luther King Center’s “Salute to Greatness Award” for his efforts to fight discrimination. The United Nations presented him with their 2007 Humanitarian Award. In honor of his great friend and staunchest supporter, Tony established the Frank Sinatra School for the Arts, which opened as a New York City public high school, offering an extensive arts curriculum, in September of 2001. In 2009, a permanent site for the school opened in Bennett’s hometown of Astoria, Queens. With his wife Susan, they founded Exploring the Arts, which supports the Frank Sinatra School of the Arts as well as thirteen public high schools in New York City and three public high schools in East Los Angeles.